One cannot properly speak of north carolina’s history without mentioning moonshine (aka hooch, white lightning, and mountain dew). Stories of stills hidden deep in the woods, souped-up speed machines, and bootleggers running from the law still linger in the hills and valleys. 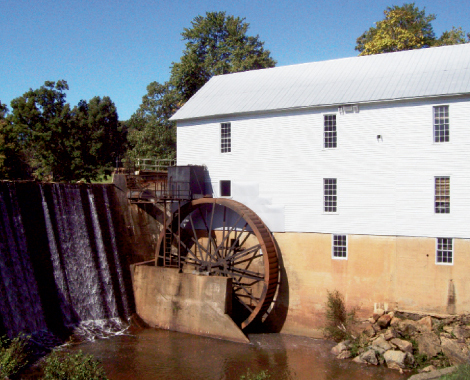 The Historic Murray’s Mill near Hickory is blowing the dust off its old still and sharing a bit of that history for Stills in the Hills, a tour through Catawba and Alexander counties. Participants will catch a ride on a bus to travel old hooch-running routes, learn of the liquor’s complex ties to Appalachian culture, and discover the backstory of sites such as the Silver Moon Café, the spot where the notorious Burgess brothers ran a large-scale bootlegging operation in the late 1940s. Here, you’ll get to taste flavored moonshines, such as apple pie, cherry, and strawberry, from Catdaddy and Midnight Moon distilleries. Afterward, the tour returns to Murray’s Mill for barbecue and bluegrass music by Kudzu. As Melinda Herzog, executive director of the Catawba County Historical Association, explains, “The story [of moonshine] links politics, religion, and economy, and rolls them all into one.” Best of all, you can learn more about those connections and enjoy some ’shine without worrying about the law.